Y-PLAN: YOUTH - PLAN, LEARN, ACT, NOW! How we plan for and design our streets, sidewalks, buildings, neighborhoods, cities, and transportation systems… these all impact children and youth. 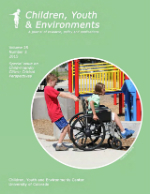 The “built environment” shapes everything from whether kids can safely ride their bike to school to the quality of the air they breathe. 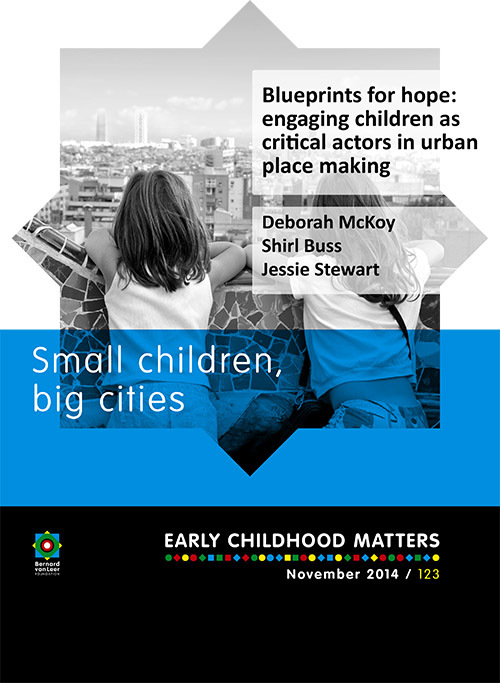 So what would happen if we put young people and schools at the heart of urban planning? Even better, what if we engaged young people directly in these decisions – all while helping schools achieve today’s education goals through rigorous civic learning experiences? That’s exactly what Y-PLAN does. 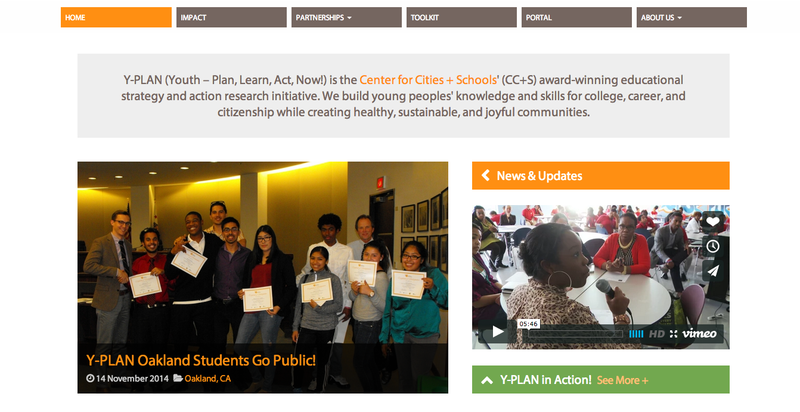 Y-PLAN is our award-winning educational strategy to engage youth in urban planning and empower them to create change in their community that is closely aligned with contemporary school reform initiatives such as the Common Core. We help teachers around the country bring Y-PLAN’s flexible methodology and tools into everything from government to physics classes. 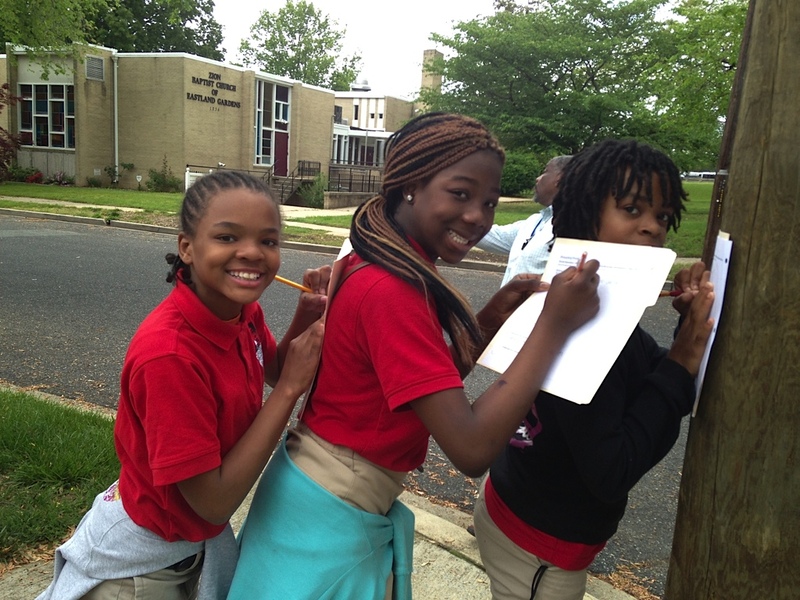 Students then go out and identify problems where they live and engage with local leaders in fixing these problems. The real-world, project-based learning that results builds both career and college readiness in students. Students also often build powerful relationships with the adults they meet through their efforts. Y-PLAN is showing everyone from teachers to mayors what is possible: we can bring applied learning into the classroom, create more opportunities for young people in and out of school, and strengthen cities at the same time. Visit the Y-PLAN website and online tool platform here! VISIT THE Y-PLAN website and toolkit CLICK HERE!